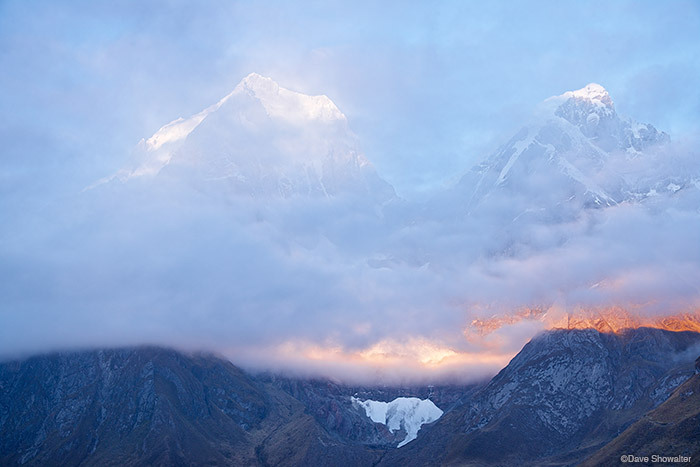 Early morning light breaks through layers of clouds to reveal Yerupaja (6634m) and Yerupaja Chico (6121m) from Carhuacocha camp on the Huayhuash Trek. This ephemeral moment was one of the most interesting light shows I've witnessed, a sudden transition from steely gray to light. Photo © copyright by Dave Showalter.